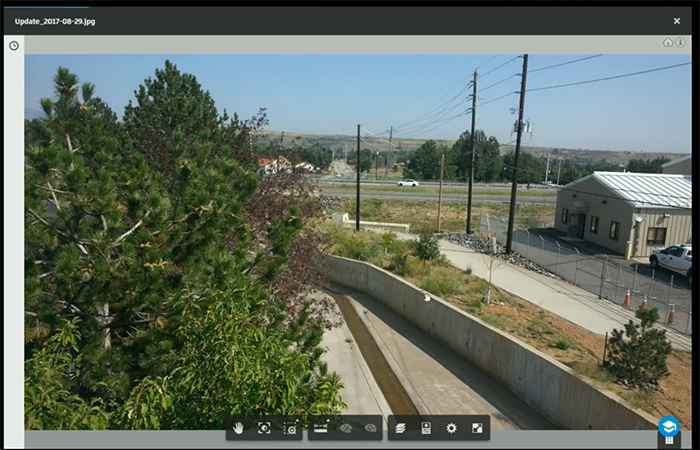 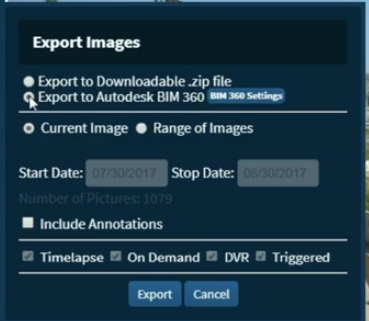 Configure Sensera SiteCloud for automated archival of real-time georeferenced images and video from Sensera solar/wireless jobsite cameras into BIM 360 for viewing, sharing, and archival. 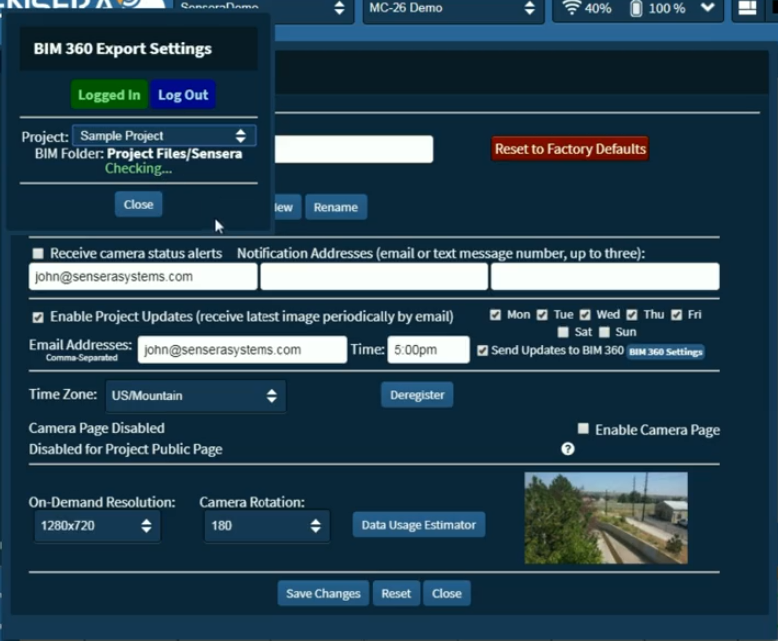 Sensera Systems makes products for automated monitoring for construction and site security. 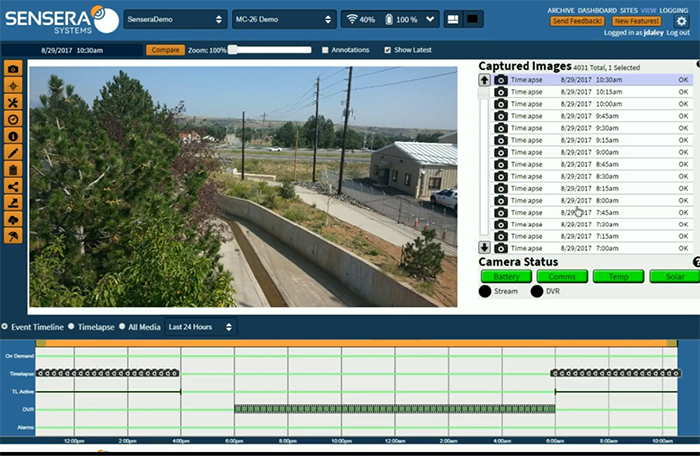 Sensera’s patented 4G/LTE camera products and SiteCloud help construction professionals with safety, site security, progress, project management, marketing, and as-built documentation.